The term “woodworm” is a good description in some ways, but in others it is misleading. 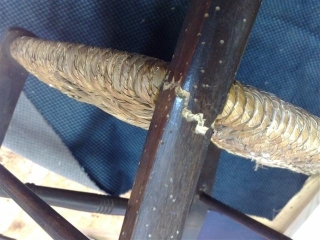 Certainly you will find woodworm in wood (although different kinds of woodworm tend to attack different kinds of wood). Also, they do tend to worm their way through the wood. However, they are not really worms. Instead, they are wood boring beetles which exist for the majority of their lives as larvae (so looking much like a worm). Of course, with woodworm attacking the interior of wood you will rarely actually see the creature itself, only the effects. The most obvious sign is tiny holes in a piece of wood. Those are the emergence holes, and indicate that an adult beetle has chewed its way up and out of the piece of wood. By this time, those particular beetles have done all the damage they are going to do. 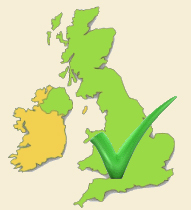 This means that if you find some wood which is damaged by woodworm, it might not be a current infestation, the woodworm might have already gone. It is best to get a professional to check it over though, because there is also a good chance that it is a continuing infestation. There are signs of a current infestation that you can look for, though. As the woodworm tunnels through the wood they produce bore dust, and some of this will fall out of the wood, often forming little piles. Looking for these piles of bore dust, or frass, is one way to spot an infestation of woodworm early. They can also make the edges of a piece of wood become somewhat crumbly, which is another way to find woodworm. As already mentioned, woodworm is actually the collective name for the larvae of wood boring beetles, so another method of discovering woodworm is to find the beetles themselves. They only come out during the summer, but it is a good time to get them because they will be looking to mate and lay more eggs. If you can eradicate them before they have a chance to do this, then you will stop the spread of the infestation. Insect traps are a good way to do this. Unfortunately much of the wood in our homes is out of sight, making it very difficult to find woodworm in some cases. It is beneath the floor and in the ceiling, places that we are unable to check for woodworm. 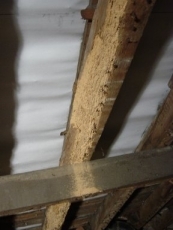 That is why it is important to get in a professional if you do suspect an infestation of woodworm as they will be able to survey the whole property for the pest, even floorboards and other wood which is out-of-sight. They can achieve this by using a borescope, which is able to detect tunnelling through solid objects. Generally, one of the places you will often find woodworm is in the attic. Especially if it is somewhat humid, this is a prime spot for a woodworm infestation. For more information on woodworm and the various species of wood boring beetle, check out the rest of the site. If you suspect you already have a woodworm infestation however, call in a professional as soon as possible to ascertain the damage and eliminate the problem.